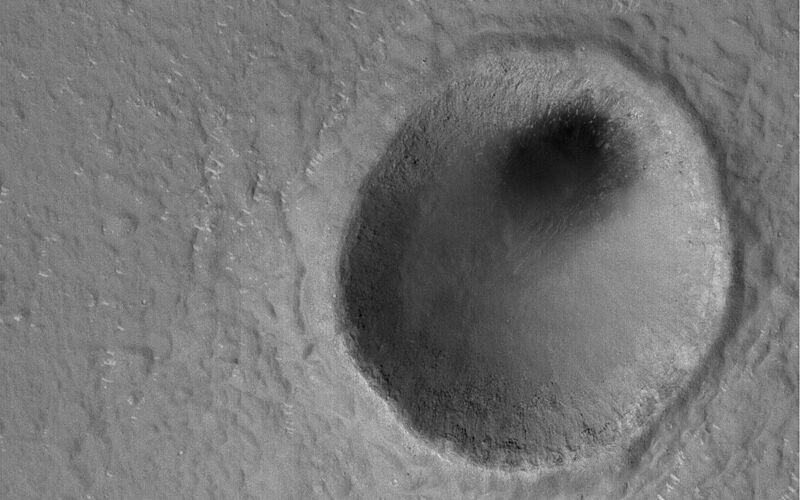 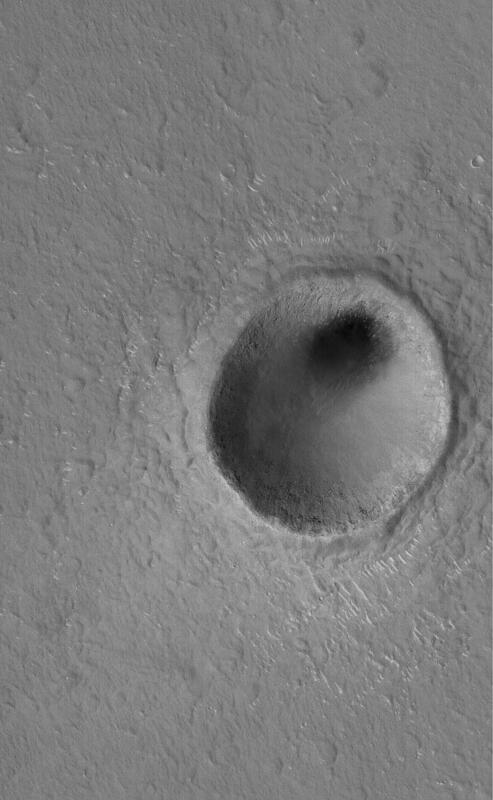 This Mars Global Surveyor (MGS) Mars Orbiter Camera (MOC) image shows a modest-sized meteor impact crater in the Elysium Planitia region of Mars. 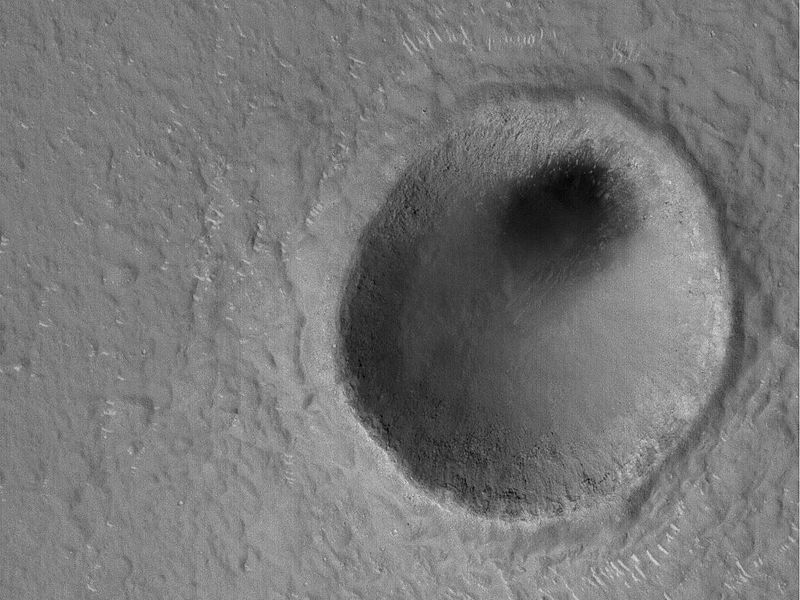 The dark spot inside the crater is, most likely, a patch of windblown sand and silt. 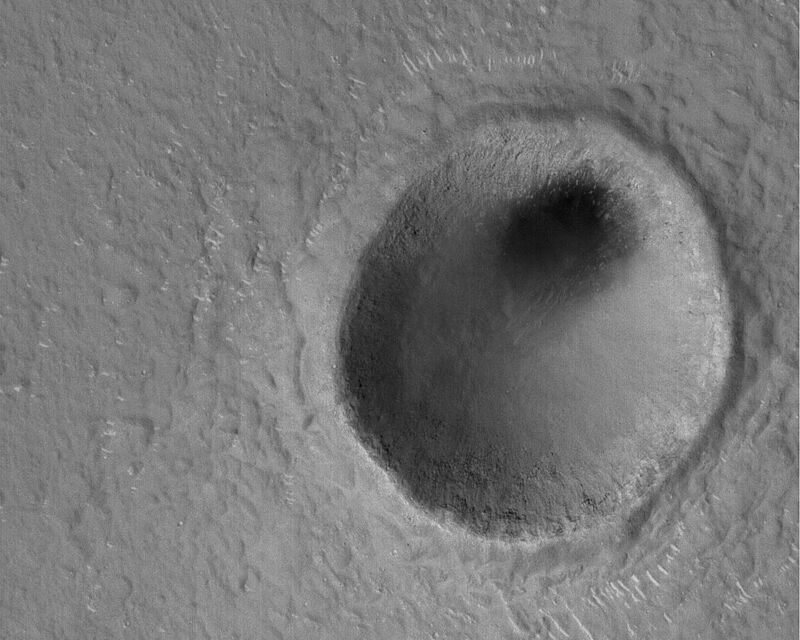 This crater is nearly twice the size of the famous Meteor Crater in northern Arizona in North America.